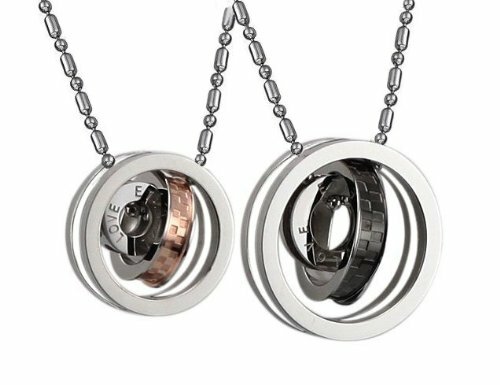 A Great Gift for any occasion, Gorgeous Post modern set of Stainless steel pendants with " ETERNAL LOVE " Engraved on them , Both Pendants consist of 3 rings each, the rings can be worn together or seperately to give more than one great look. 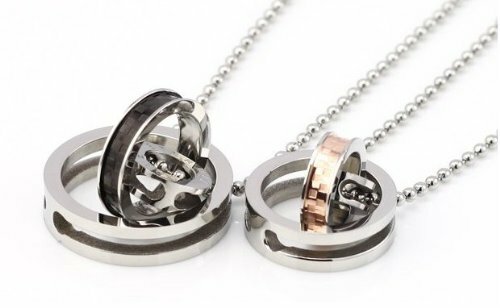 Mans pendant has a black tone circle ring while the womans pendant has a gold tone circle ring . Stainless steel is hypoallerganic, high resistant to rust, corrosion, tarnishing and requires minimal maintenance in order to keep it looking like new. 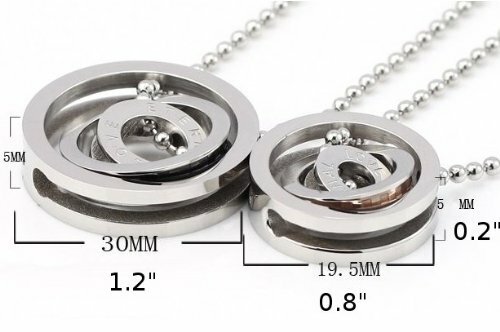 Adjustable Ball chains can be sized down "cut" to the length you want. 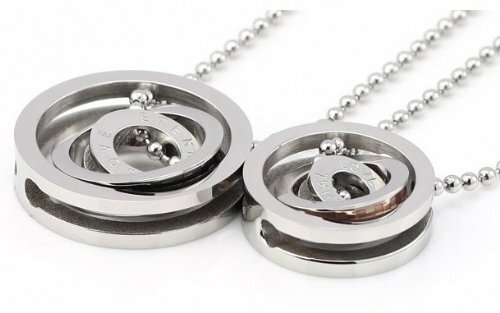 Post Modern design, Create different looks by wearing the pices together or indiviually.